Virtual worlds art, design and travel. This is a nice sim or many i do not know. There are really nicely built. I came here by train so i do not know where i am and i do not want to open the map to spoil the illusion. Going to LEA seeing all things I can see thru my Oculus is just so very very cool. For some reason I wanted to go exploring today and came to a different place. Talullah Winterwolf makes some kind of graphic cut and paste art. And i really liked it. Talullah "My inspirations come from many sources, but the common thread is that all my creative works be it fashion, a photograph or a painting is that tells a story in some form or other." If you have a moment go and see. Always some good art to see. Two great artist in Magna Carta. It is nice to see drawings and paintings in Second life. Art in the virtual space. 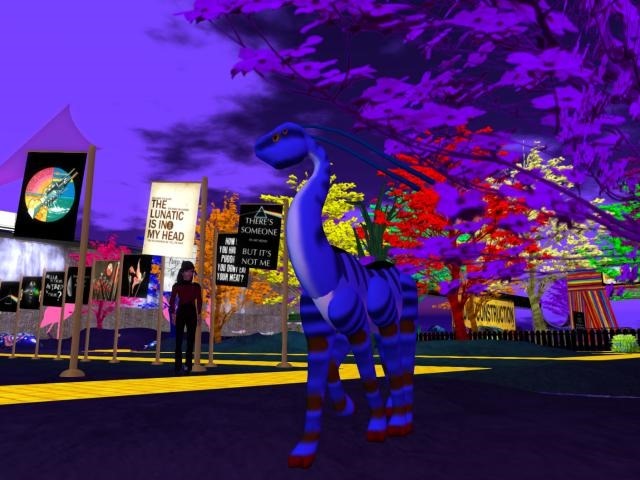 Art space magazine for virtual art and design on the web in virtual worlds. 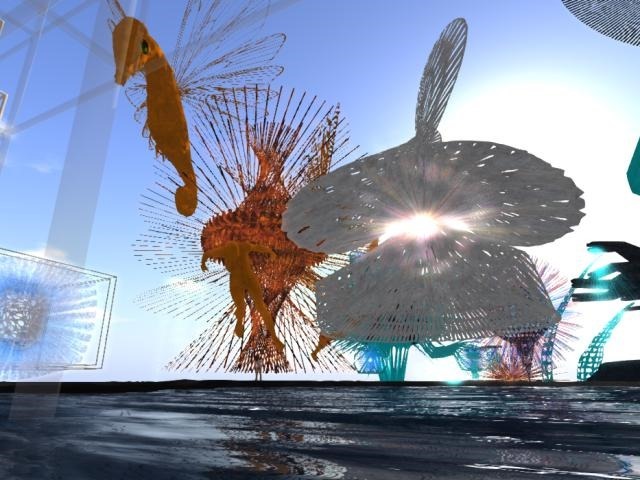 There are many spaces out on the web where artists create their new version of the hypergrid. Virtual spaces with a new look on art and new tech. Headsets as the Oculus is changing the way to experience art. Everywhere there are new and exciting designers and artists. We follow. Second life Art space Magazine group. You find us in Second life. From Second life I wish you a new and virtual insane new year. I be inworld later. Never miss a X-mas in Second life.